Though it’s September and the boys have returned to school, the summer weather continued around here and it often lasts until October. So we still have tomatoes, peppers, and basil coming out our ears and the garden tomatillos are starting to kick in. And temperatures were in the 90s last week, making that week hotter than any day in August this year. Seems as if August came a month late. So yes, we’re still eating summer food and drinking summer beverages. Michael and I went for a lunch date last Friday at one of the local Thai restaurants, and of course I ordered a glass of Thai iced tea, that delicious sweet tea and milk concoction that draws me in every time. 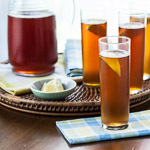 I do love sweet iced tea, was raised on it—proper Southern upbringing—and will enjoy a glass if offered one, but I can’t drink it every day any more. I gave up sugar and sweetener in my tea and coffee several years ago as part of my calorie cutting measures, and my palate has adjusted to it. 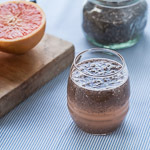 And since I adore Thai iced tea so much, I came up with my own version that has less sugar and uses a healthy spice for color and flavor instead of artificial colors found in the tea mixes most restaurants use. Turmeric is a common ingredient in curry powders and is known for the lovely yellow color and earthy flavor it lends to food. Most of us will find it in the spice aisle in powder form. The plant, which is related to ginger, is grown for its root and can be found in some international grocery stores, and the root is sliced or grated for cooking. Over the last year, I have used it more and more for its anti-inflammatory health benefits. If I don’t have fresh turmeric root for the tea, I use a homemade paste that I make from ground turmeric and water, which only takes about 5 minutes to make. The turmeric can be an acquired taste, so start with a small amount and see how you like it. The other flavors in my Thai iced tea are lemongrass, which I cut fresh from our garden and boil in the water before adding tea bags to steep, and unsweetened coconut milk which I mix with half-and-half (or heavy cream) for texture. For richer flavor, I add a drop or two of vanilla extract to the strained tea. I prefer honey for the sweetener, but Thai palm sugar is also good. Yes, it’s not exactly like the Thai iced tea served in restaurants, but I like that it’s healthier for me and pretty easy to make at home. 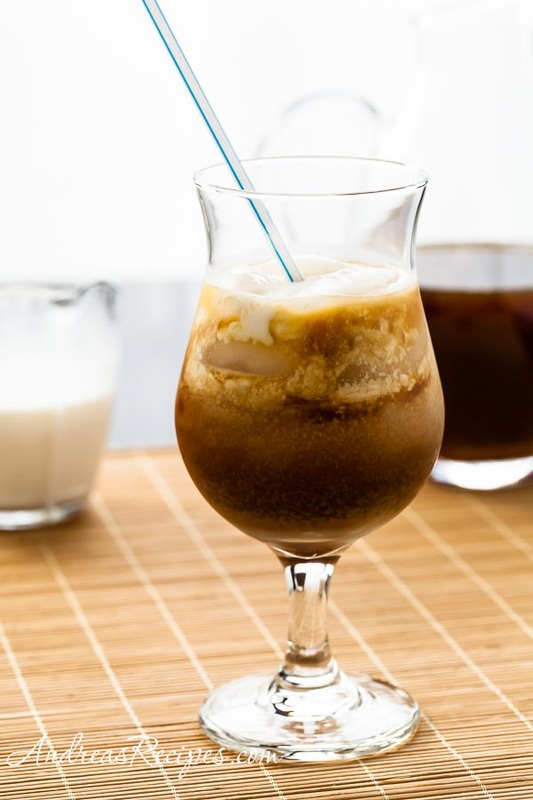 I make the tea and keep it in the refrigerator for a quick fix, then just add the coconut milk mixture to the glass when I’m ready. 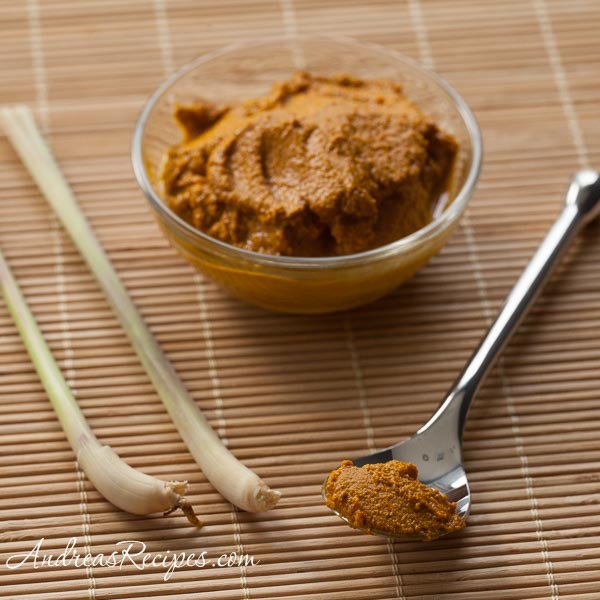 Turmeric Paste recipe from Herbal Academy of New England. TURMERIC PASTE - Combine the the turmeric and water in the small saucepan and bring to a boil. Reduce heat and simmer until the mixture forms a thick paste. Allow to cool, then transfer to a storage container. TEA - Bring the water and lemongrass to a boil in the 2 quart saucepan. Boil 5 minutes, then remove from heat. Add the tea bags and steep for 20 minutes. Strain the mixture to remove the lemongrass and tea bags. Add the honey and turmeric past, and stir to dissolve. Allow the tea to cool to room temperature and strain into the pitcher through a coffee filter and stir in the vanilla extract. Mix the half and half and coconut milk in the liquid measuring cup until well blended. 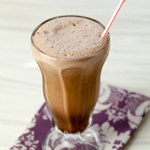 To serve, pour 1 cup tea mixture over ice in 4 tall glasses, then add 3 tablespoons milk mixture to each glass. Serve with the milk floating on top and allow each person to stir as desired. Raw sugar or dark brown sugar can substitute for the palm sugar. The Turmeric Paste will keep in the refrigerator for about 2 weeks. The tea and the milk mixture will keep in the refrigerator for about 1 week.